SM City Davao is ready to satisfy your cravings this February 8! Rediscover your favorites with SM City Davao Foodcourt’s fresh new look, improved stalls, structure, and overall interior that will absolutely give not just a feast for your eyes, but also a feast for your bellies. Relive and get ready to have new experiences at SM City Davao Foodcourt! First on the list is Fiesta Dabaw, well known for serving popular local favorites such as the Paksiw na Tuna Buntot, Kinilaw na Malasugue, and Crab Relleno to name a few. Get into the Korean craze and savor a filling bowl of Korean Bibimbob from Mr. Kimbob topped with their signature Seoul Spice. Dive into a variety of Mr. Kimbob’s hot plates, noodles and Korean BBQ rice meals. Inspired by Visayan roots, Taste a wide range of classic Filipino dishes from all-time favorites by Kamay Kainan. As Filipino cuisine continues to surprise the world of food, experience comfort food at its finest at Kamay Kainan. Smokin’ Toppings and Steaks offers delicious rice toppings served in a hot plate. Have a taste of their delectable sizzling beef, pork, chicken or seafood anytime of the day. A definite must try is Gracia‘s Lechon Belly atbp, a redeveloped concept of “Kusina ni Gracia” known for their signature dish “Lechon Belly” and other Filipino comfort food dishes that are best enjoyed with family and loved ones. Brother Bryan’s Chicken and Ribs (from the makers of Pritong Manok). Their signature dish is the Fried Chicken with classic sauce, but they’ve also added crispy versions of beloved Western dishes such as Crispy Ribs, Crispy Chops, and Crispy Bacon Cheesy Fries. Enjoy your all-time favorite sharwarmaj from Turks. Satisfy your craving for a Kebab Wrap or Beef/Chicken Doner on Rice and make it a Turks Day for your loved ones! Island Grill Express brings the homecooked dining experience to a whole new level. Enjoy your grilled favorites without having to grill them yourselves! Allow Island Grill Express to serve you great grilled meals! Fan favorites are their Grilled Pork Belly, Batchoy, Chicharon Bulaklak, and Grilled Squid Meal. Coming soon at SM Foodcourt Davao is local based concept Zen Sushi – home of delicious Sushi, fresh Sashimi, steaming hot Ramen, and hearty Donburi that can satisfy any rumbling tummy and will makes you want to come back to more Japanese goodness. Potato Giant serves mouth-watering homemade potato snacks. They offer bite-sized, ready to go munchies such as their definite must-try, Potpots, a potato snack thicker than chips which comes in different flavors. Joining the fun is Tokyo Tempura, who offers a wide variety of tempura flavors – shrimp, crab stick, vegetables, squid and chili cheese coated in their secret batter mix fried to perfection. Grab a bite of Tokyo Tempura today! A tweak on the popular childhood snack, Kettle Korn adds up to the mix. They currently have a variety of crunchy, yummy, and fun flavors that you can choose from. You can never go wrong with a poppin’ fun snack. 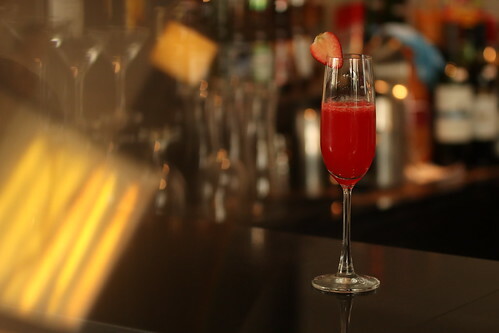 We also have Mr. Green that offers a variety 100% natural fruit juices and salads that you will surely enjoy. After every meal, you deserve a dessert that will fulfill your sweet tooth craving. House of Frappe serves high quality gourmet shakes that will surely give you the ultimate Frappe experience. Dine, celebrate, indulge and rediscover your favorites with your colleagues, friends and family a wide variety of flavors at SM City Davao Foodcourt! 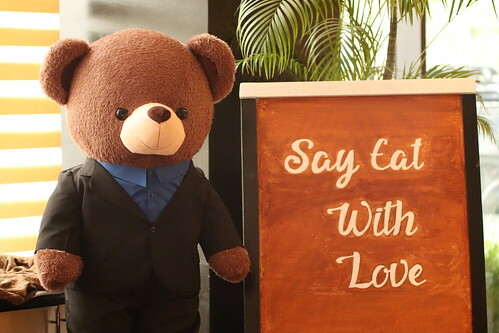 Celebrate Valentine’s Day 2019 in Seda Abreeza Hotel in Davao City and “Say Eat With Love”! Enjoy a 5-course wine-pairing dinner with your special someone this Valentine’s Day on February 14, 2019. 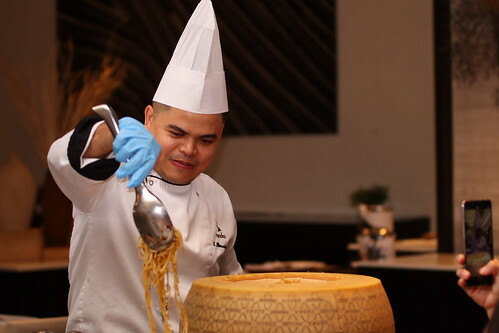 It includes a signature dish, a pasta trolley and a dessert spread and a rustic-themed Valentine night awaits diners at Misto in Seda Abreeza. Plus it should ideally be perfectly matched with a romantic stay in Seda Abreeza’s hotel. 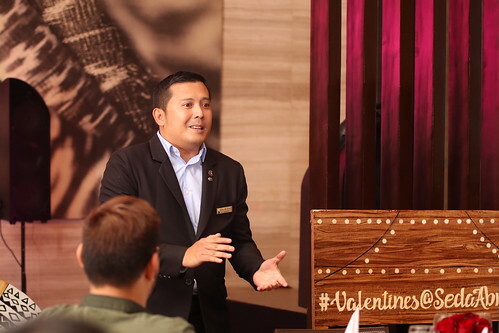 GM Ken Kapulong as he introduces the Valentine offers to Davao media. 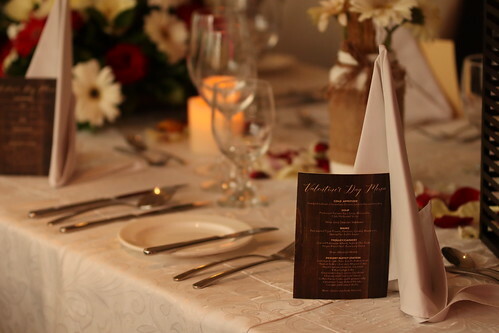 The 5-course wine dinner will be served in Seda Abreeza’s T’nalak function room at the mezzanine floor, adorned with a rustic-inspired setup and made sweeter with live music. Asst. 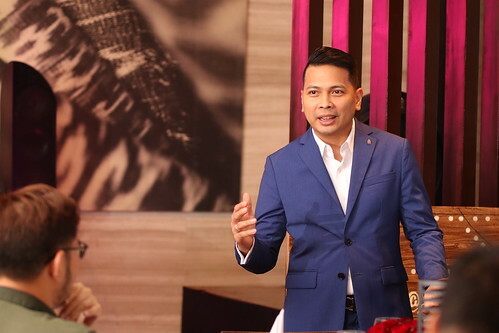 F&B Manager Jules Melencion presents the 5-course wine pairing menu during the media launch. 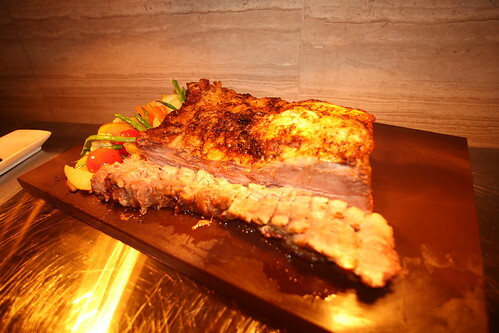 Dinner features their signature Angus Roast Beef, a pasta trolley, and a dessert buffet along with the plated dishes. 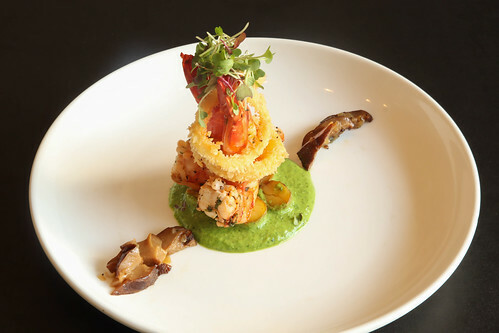 Cold appetizer will be Smoked Salmon, Cucumber, Greens, Lemon Honey Dressing for a healthy start, followed by a Parmesan Tomato Basil Soup, Mozzarella, Chili, Flatbread Sticks, and Pan-seared Tiger Prawns, Potatoes, Greens, Mushroom, Spring Pea Truffle Sauce for main course. 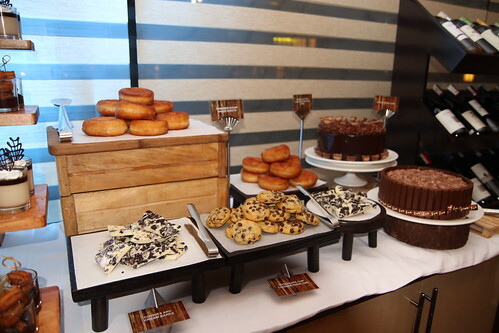 The carvery and dessert stations will be a spread of delight with treats as Lamington Cake Bars, Vanilla Buttercream, Peanut Butter Chocolate Mousse Cake, Heart Croquembouche, Caramel, Kitkat Fudge Cake. 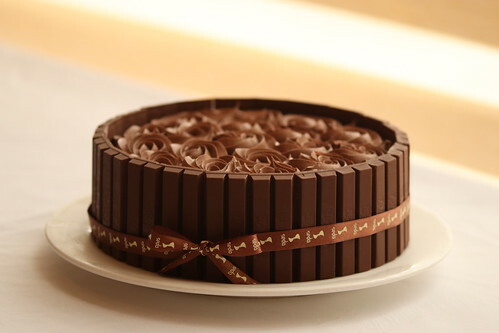 The Peanut Butter chocolate mousse cake is a personal fave! 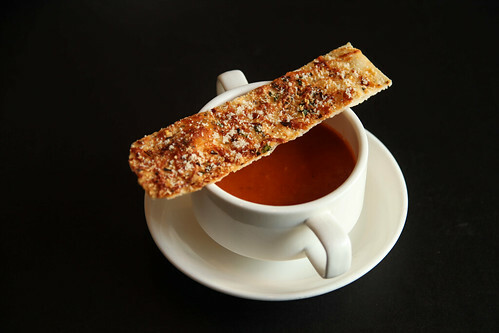 I particularly enjoyed the hearty serving of Parmesan Tomato Basil Soup. While the tiger prawns I tasted were cooked well for my taste. The 5-course dinner on Valentine’s Day is available at Php 2,480 nett per person, with prior reservations required. They will also have a dinner buffet at Misto which will offer the Angus Roast Beef and desserts, with other dishes as Garlic Butter Mushroom Pork, Cheese, Bacon, and Chicken Rolls, Fish Piccata, and Seafood Saffron Cream Sauce, Linguine. The dinner buffet is at Php 1780 nett per person for adults and Php880 nett for kids, with venue in Misto. For your Valentine’s stay at Seda Abreeza hotel, the Valentine room packages are also offered from February 10-17, 2019 starting at Php 5800 nett, with pralines and a bottle of wine for those who will book. For February 14, a special room and dinner package is available at Php 9800 nett – this includes: overnight accommodation in a Deluxe Room; buffet breakfast for 2 persons; Valentine Dinner for 2 adults; and pralines and a bottle of wine for the guests. For inquiries and reservations, please call: (082) 322 8888 (local 8444) or book through e-mail at fb.dvo@sedahotels.com. 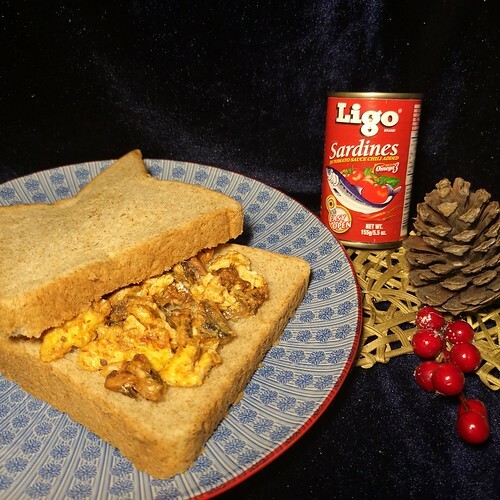 On busy days during this 2018 holiday season, I am making this baon serye on food for school snacks made with Ligo Sardines that are easy and quick to prepare. My boys and I are already on our last week of school and we are on our exam week this week for the second grading with a miracle of having an early school vacation this year for us ahead of most schools in the city. 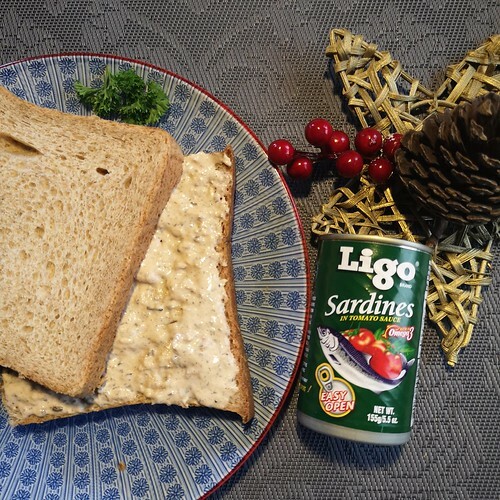 Before getting swept away once again with the busy holiday craze, which actually started in November, I am sharing quick and easy Ligo sardines-infused recipes that are perfect for school or even served at home for kids and kids at heart! Simply place and empty the mayonnaise into a small bowl. 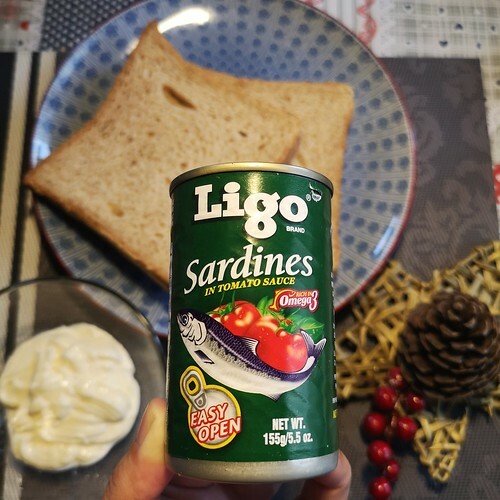 Open the Ligo Sardines which is already in an easy-to-open can. It is very nice since it saves you time and effort of opening the can. Then put the sardines into the bowl. I opted not to put the tomato sauce. You can pour the whole content of the tomato sauce if you like. 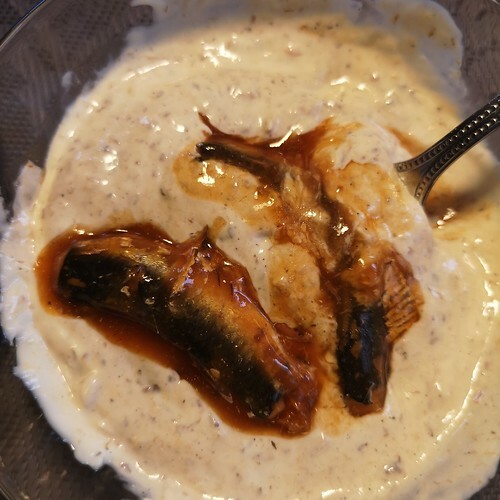 Mash and mix the sardines with the mayonnaise just using a fork until all ingredients are mixed well. 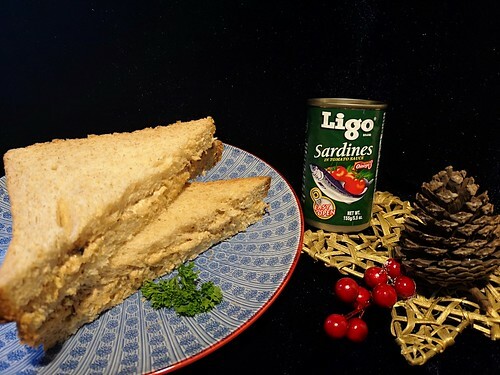 Then spread the sardines-mayo mix into the two slices of bread. Put them together. Slice the sandwich diagonally. Wrap in a napkin or place in sandwich ziplock plastic. But if you are against using single use plastic, you can put it in a re-usable snack or sandwich container. I recently bought the gourmet wheat bread from the Royal Breadhaus bakeshop in the city. They sell it for four big slices in a pack for about P28.00 in their stall in Abreeza Ayala Mall. I can make two sandwiches which can be good for two days for baon or snacks for my little guy at school for recess in the morning. A pair of bread slices can be sliced in half. So he has an option to finish both during morning recess or leave one for their afternoon recess. But I guess since he really liked this one I made, it will only last until morning recess! Hahaha! I got our fave mayonnaise or if you know how to make your own, do so as you wish. You can also use other spreads or add other ingredients if you like. The more creative you are as long as your child likes what you put in it, that’s good already! Pour the sardines into the cooking pan. We used non stick pan. After a few minutes, add the beaten 2 medium eggs. Cook until the egg is done depending on your child’s preference because some kids don’t like eggs that are not well done or not cooked well. Place the omelette in a plate and let it cool for awhile. Then place enough amount on two slices of bread. Cut diagonally or not if you like eating it whole. Wrap in a napkin or place in sandwich ziplock plastic. But if you are against using single use plastic, you can put it in a re-usable snack or sandwich container. You can opt to use the non chili sardines variety. 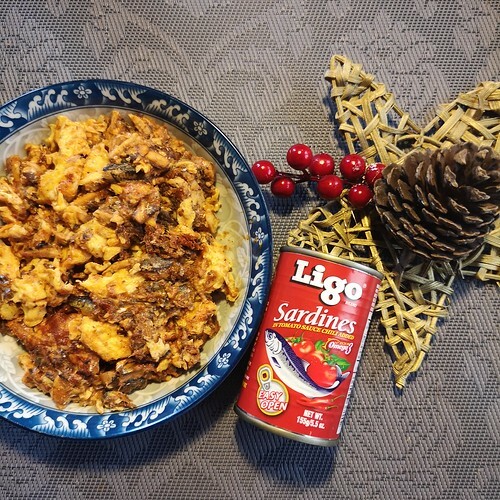 My son likes spicy sardines already so that’s why that is the variety we used for the omelette. My little guy loved the sardines mayo sandwich so much. He finished almost all of what I prepared in no time. He even asked for more. He kept asking his dad if he wants more which actually meant he himself wanted to eat his dad’s share when we first tried preparing this at home recently. He even started singing Tom’s Odong na Lami song once again as he saw us using Ligo Sardines to make these baon dishes. 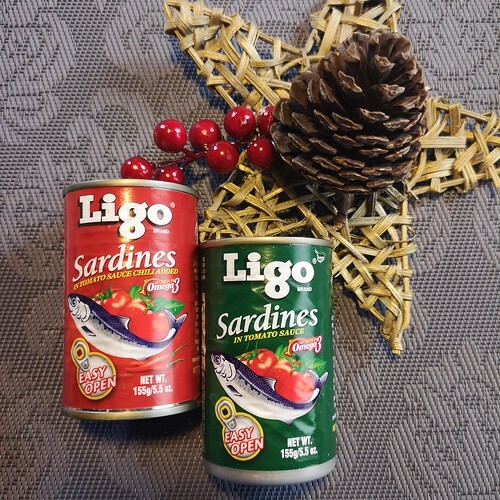 If you have recipes for baon snacks that you like to share using Ligo Sardines, do let me know! I would love to hear your recipes!